When any device gets connected to wifi network then the wifi password gets saved in that device for a while till that device remains connected to that network. 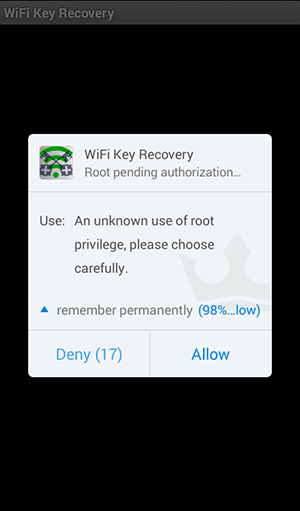 And in Android, this wifi password gets saved in the system file which is not directly accessible to your device without having root access on your Android device. So in this guide, we will be discussing same by which you can easily recover up the password of a wifi network that you had forgotten. The only requirement is that your Android must be connected to that wifi network in past. Here we have stated two cool android apps that work only with rooted android and with that, you can actually extract out all the password are saved on your device when it gets connected to wifi network. So follow some simple steps below to proceed. The third method doesn’t need a rooted android device. Step 1. 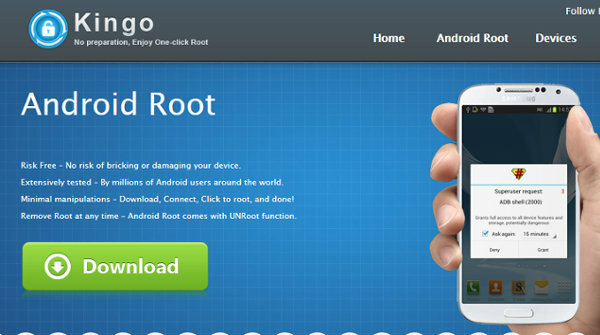 First of all, you need to root your android as the app will work only if you have root access to your device so visit the guide Root any android safely. Step 2. 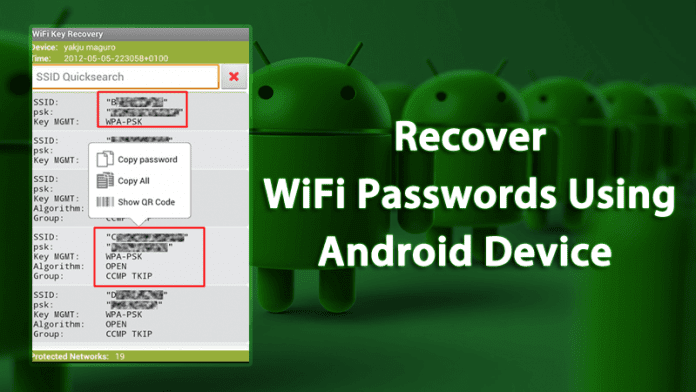 After rooting your device download and install the app Wifi Key Recovery on your android. Step 3. 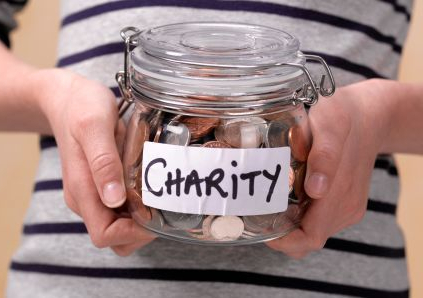 Now launch the app and you will see the popup regarding permission for super user access grant it the permission. Step 4. Now you will see all the wifi networks that you had connected to your Android device and their passwords too along with them. Step 5. Now just copy the password and get a login to that wifi and that’s its password will be recovered and you can now even change the password of that network by visiting the admin panel of a network. Step 1. 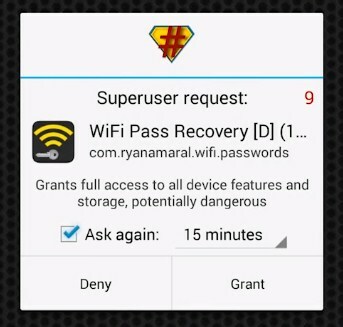 First of all, you need to download Wifi Password Recovery App on your rooted Android smartphone. Step 2. After you installed it on your android device, in the very next step you need to grant the Root Permissions. That’s it you are done! 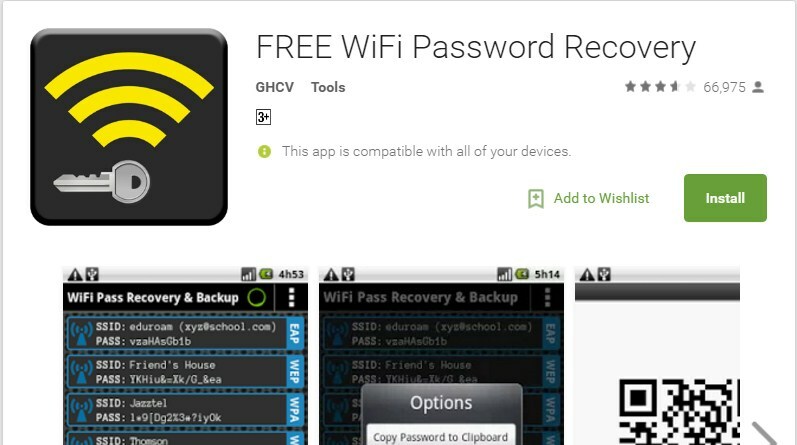 this is the easiest way to know saved wifi passwords in your android smartphone. Step 1. First of all, you need a file explorer that gives you the read access to the root folder. If your default File manager doesn’t give you the read access to the root folder then you can install ES File Explorer. Now you need to head to the data/misc/wifi folder and you will find a file named wpa_supplicant.conf. Step 2. You need to open the file and make sure you use ES File Explorer‘s built-intext/HTML viewer for the task. 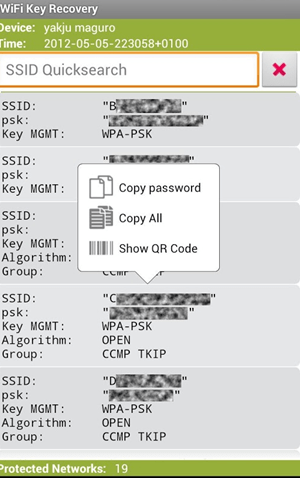 Now in this file, you will be able to see the network SSID and their passwords next to it. Now you need to note down the network name and its password. By this way, you can view all saved wifi passwords on the android device. Note: Please do not edit anything in wpa_supplicant.conf as it can alter your device working or it will have the effect of your wifi connectivity. So simply recover your WiFi passwords using these tricks. Hope you like this cool method, do share with others too. How do I bypass the pin code on a Galaxy s6 edge ?